Please see below a list of promotions we are currently running and latest news updates. We are always trying to do different things and so if you have any ideas for promotions please just email us at hello@countrybike.co.uk…you never know, we might just run with your idea! Alternatively, if you want to make sure you don’t miss out on our news and new promotions as they arise, then please just register your email address below and we will make sure to keep you up to date. You can unsubscribe at any time. Here is to happy days exploring our wonderful countryside by bicycle! Don’t worry if you have not ridden a bike in years, many of our partner venues have off road routes on their doorstep ideal for getting you back into the swing of things. Ideal if you plan to be a frequent user of one of our bikes! For £25 a month you can hire one bike at a time for up to 2 x 1 hour bike rides a day as part of the monthly fee. 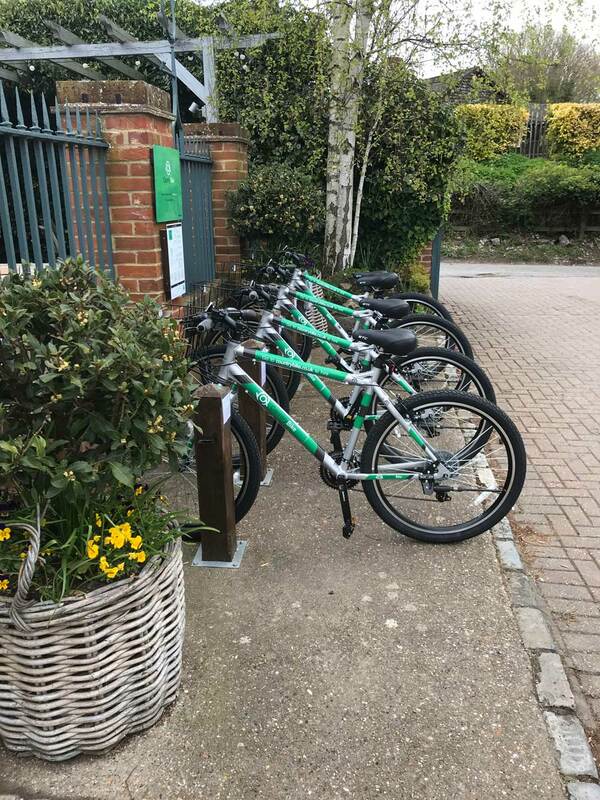 Perhaps you are looking to get fit for the summer, or you want to use a bike to hop between the Countrybike posts at Heathfield, Horam, Hailsham or Polegate (near the station) on the Cuckoo Trail. If so, then the plan could be ideal for you. You are permitted to hire the bikes twice a day for up to one hour. Additional time is then charged at £2.50 per 30 minutes. You must return the bike to the location you hired it from unless hiring a bike on the Cuckoo Trail. 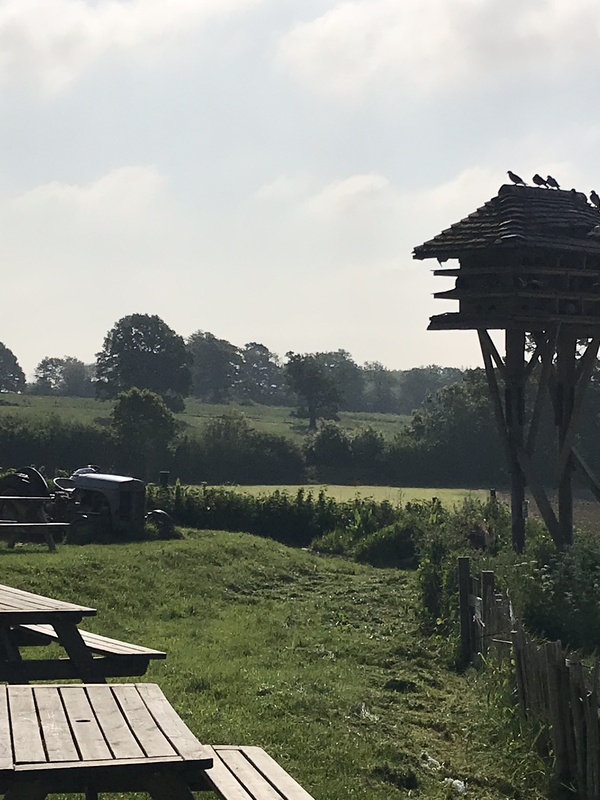 On the Cuckoo Trail, you are permitted to end your ride at any of the designated Countrybike posts along the route (located at Heathfield, Horam, Hailsham and Polegate) as long as you can safely secure the bike to a free bike post. Please note due to limitations of the App, you cannot hire multiple bikes simultaneously if signed up to this plan. If signed up and you want to hire multiple bikes, then you must register another email address and sign-up to the Pay as You go plan. The bikes are back at The Dirty Habit in Hollingbourne. Why not plan to explore the stunning Pilgrim’s Way recommended Sustrans cycling route and finish off the day on this wonderful 13th century pub directly on the route. The bikes are back at The Poacher & Partridge in Tudeley. We love this pubs and we love it even more with our bikes out front! Time to plan in a cycle ride up to Pembury Walks or along the surrounding Medway floodplains and a pub lunch? 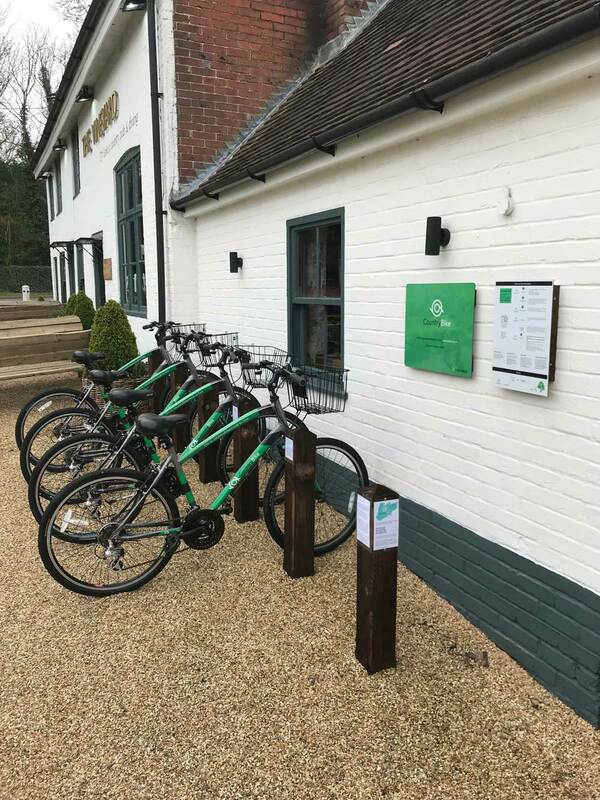 The bikes are back at the Vineyard in Lamberhurst. 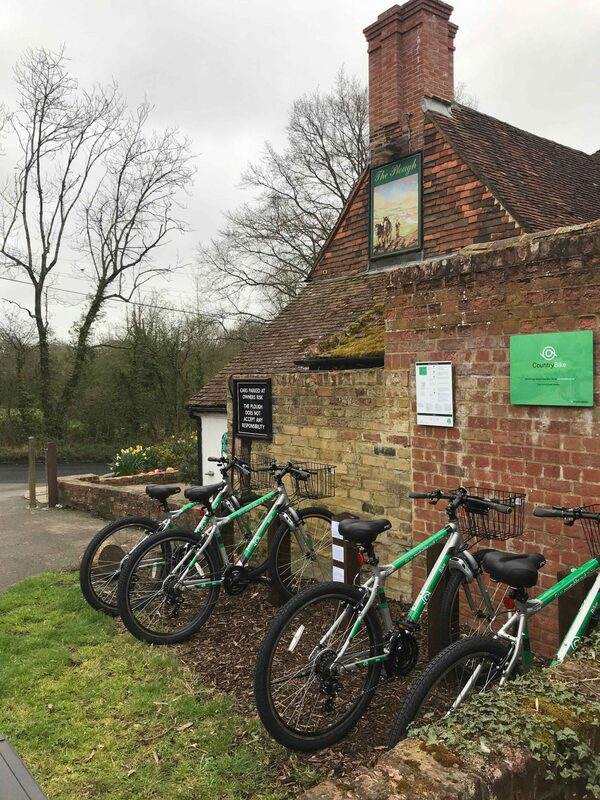 Pick up the bikes and explore the back lanes through to Bewl Water or visit Scotney Castle before returning to this amazing pub for great food & drinks. 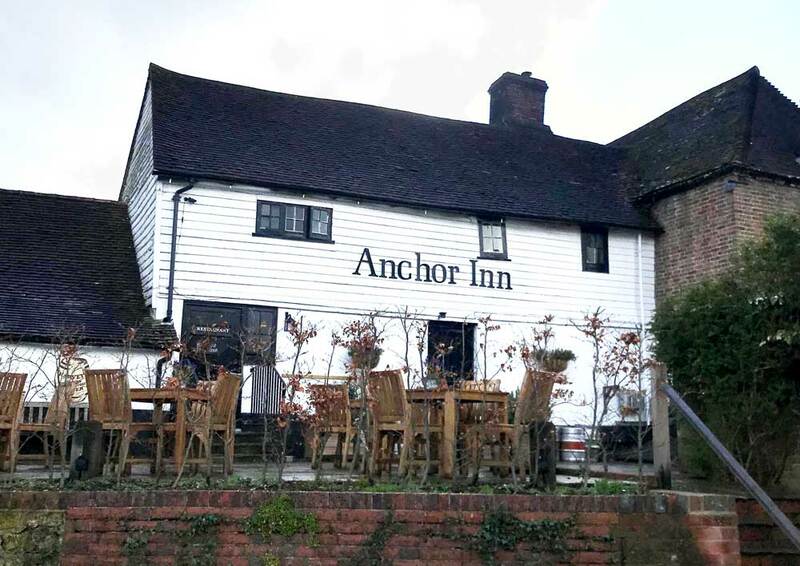 Great to get the bikes back out at The Anchor in Hartfield. This is a great pub and the Forest Way off-road, family friendly cycling route is a stones throw away through the village. Why not discover the area that inspired The Winnie the Pooh Stories by bicycle and have a cracking lunch at the pub on your return. 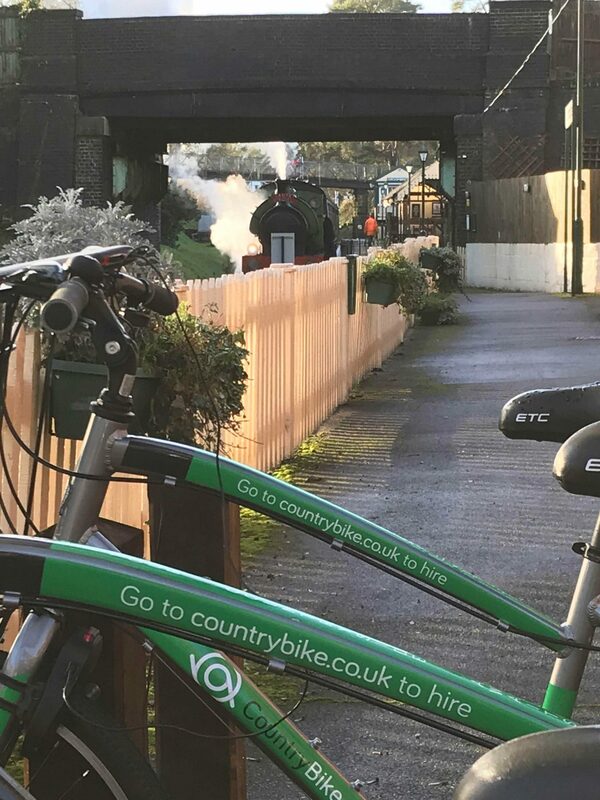 Excited to get our bikes back out at the Spa Valley Railway in Groombridge for the season. A great venue and at the start of the family friendly off-road Forest Way cycle route. We have put brand new bikes out at The Plough in Leigh. There is also a new connecting cycle route that now runs from Powder Mills through to the Tudor Trail near Haysden Country Park making the Plough a great place to start and end your ride. We are proud to have enhanced the service at Penshurst Place for the season ahead. As well as adding more bikes (including children’s frames) we have also built a smart cover for the bikes. Thanks to Penshurst Place for being great hosts! This is a great spot to head off along the family friendly Tudor Trail. 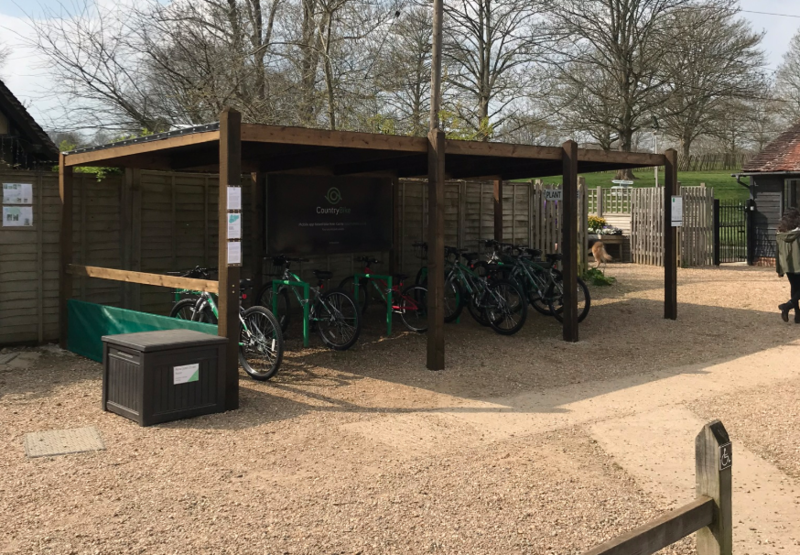 We have now put bikes out at Tablehurst Farm in Forest Row for the new season. Why not grab a coffee from the cafe and browse the farm shop before heading off down the family friendly off-road Forest Way Cycle route. Perfect! Goboony is a platform where motorhome owners and hirers are brought together. Whether you want to hire a top of the range motorhome, or an iconic campervan, you can find the perfect motorhome for your trip. If you love adventure and the freedom of the open road, Goboony is the right place to start. We say, what a brilliant idea! 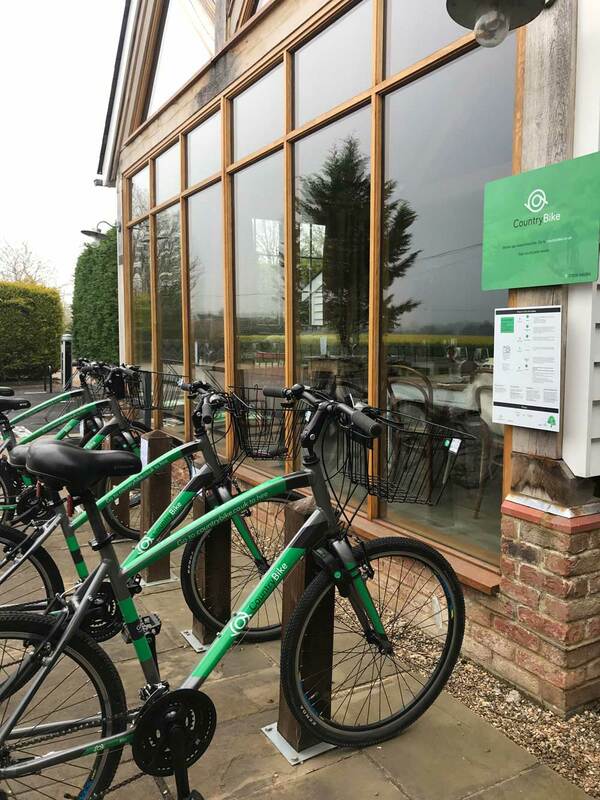 If you are a Goboony customer and would like to claim a 10% discount when hiring our bikes then please just email us in advance of your planned bike hire with your Goboony booking reference. We can help reserve bikes in advance for you and even arrange delivery and collection if required and you are in the area. Please do give at least 24 hours notice if looking to reserve or get bikes delivered to allow us to plan things in. Together we hope to make visiting our beautiful countryside a wonderful and truly memorable experience.